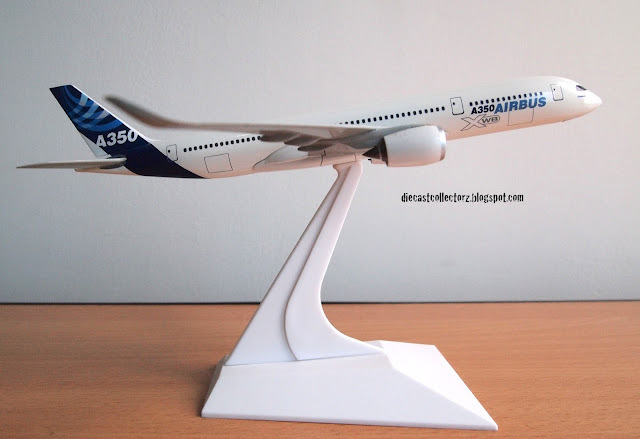 The A350 XWB (Extra Wide Body) is a long-range wide-body aircraft being developed by Airbus to compete against the Boeing 787 and 777 jetliners. It is slated to enter service in 2014. Made mainly of carbon composites, the jetliner has three variants, and can carry between 270 and 350 passengers. The first time I saw this aircraft was in a movie when I was a boy. The movie was D.A.R.Y.L., which is about a cyborg boy who used the SR-71 Blackbird to escape from an airbase. I think all of my boyhood fascination with aircraft, which continues until now, started from that movie. The SR-71 Blackbird is a product of the famed Lockheed Skunkworks, which designs exotic (and secret) aircraft. The spy plane, made mostly of titanium, can reach speeds in excess of Mach 3; it holds the record for fastest air-breathing manned aircraft. Its speed is sufficient to outrun surface-to-air missiles. 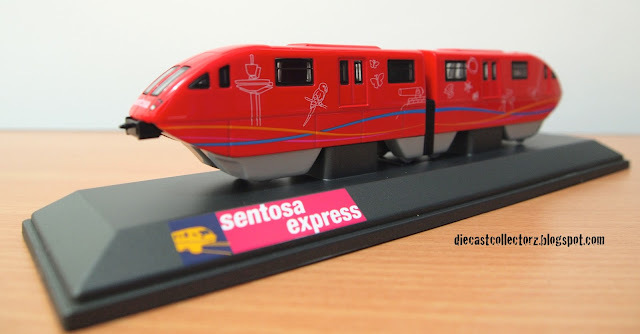 This is the first (and only) die-cast rail car in my collection: the Sentosa Express monorail. The (probably) H0 1:87 scale train was bought in a giftshop in Sentosa Island in Singapore during my trip there 2 years ago. In real life the 25-meter long, 2-car, straddle-type Sentosa Express monorail, which can accomodate 184 passengers per train, services the Harbour Front-Sentosa route. Manufacturer: unknown Scale: H0 1:87 ? 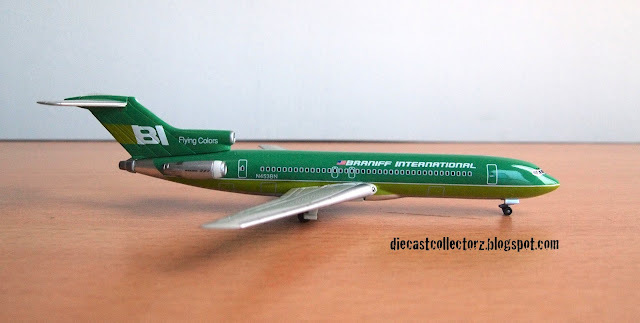 This Braniff International Airways Boeing 727-200 is the first tri-jet in my collection. The -200 variant is the stretched version of the original. The aircraft, a successor to the 707 jet, has a T-tail configuration. Braniff Airways was established in 1928, but became bankrupt in 1982. It is only American airline to operate the Concorde, thru a lease from British Airways and/or Air France. The color scheme depicted in this model is known as the "Flying Colors," developed by artist Alexander Calder in 1973. 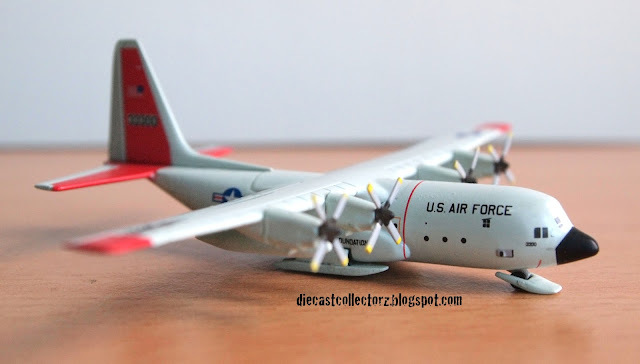 I have flown in a Philippine Air Force C-130 Hercules about twice when I was in college, when I am going back to Manila during the holiday break. It wasn't a pleasant ride (no seats, no seatbelts, and I sat on a wooden box that I was told later, was a coffin of a soldier). 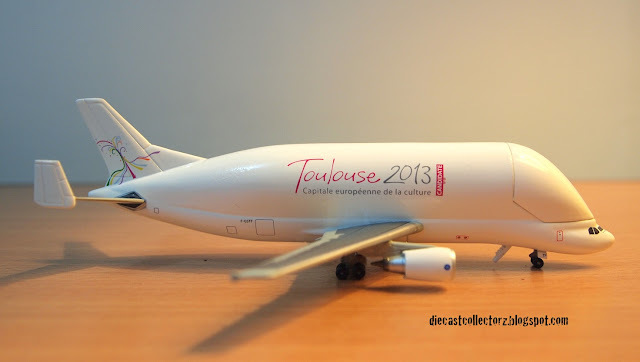 Experiences notwithstanding, I liked this plane and I did not hesitate to get this particular model when I saw it. This variant is the USAF Antarctic Explorer, which has skis installed instead of wheels. This is used for missions to the Arctic and Antarctic bases. This aircraft's ungainly ugliness makes it more interesting the more you look at it. The A300-600ST (ST for Super Transport) was nicknamed Beluga for its resemblance to the whale, and the name stuck until it became its official designation. Derived from the Airbus A300 wide-body aircraft, the Beluga is designed to transport oversized cargo and parts for the A380 aircraft. It can carry up to 47 tons of cargo. 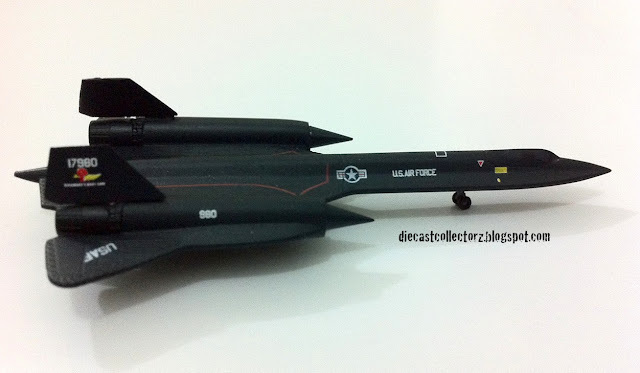 Only five were manufactured, and this die-cast model is aircraft number 5. 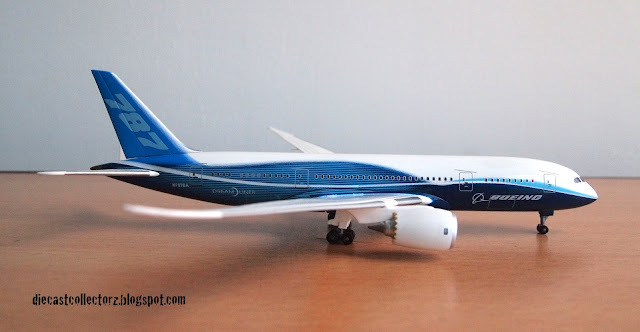 The Boeing 787 Dreamliner is a brand-new twin-engine, widebody airliner from Boeing Co. It is one of the first airliners to use composite materials for its construction.